With concrete epoxy floor coatings, beauty is not skin deep, the advantages go well beyond the fact that they look marvelous. 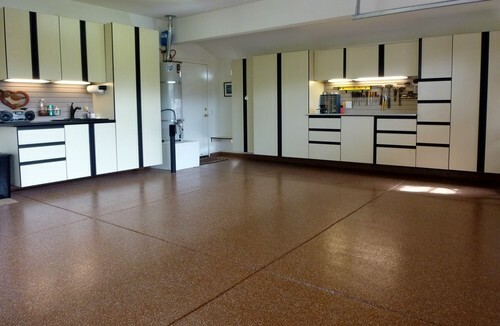 Before we dive into some of the advantages of concrete epoxy floor coatings and solutions, let us take a look at some of the highlighted epoxy floors around the country. Photos compliments of houzz.com. 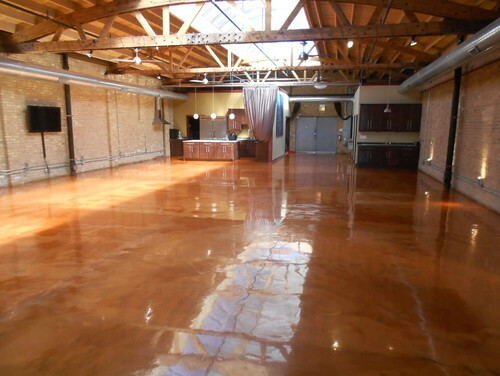 Epoxy floor coating are universally recognized as a tough and durable finish. Various levels of durability are available, i.e. solvent-based industrial-grade versions. Xtreme Flooring and any reputable concrete epoxy flooring contractors will work with you to determine the exact type and grade of epoxy floor coating to use. Versatility is one aspect of concrete epoxy coatings that is commonly misunderstood. Epoxy is a great solution for home, office, workshop and industrial environments. It is obviously recommended that when speaking with a flooring professional that you clearly communicate your flooring needs so the professional can suggest the most appropriate product for your needs. 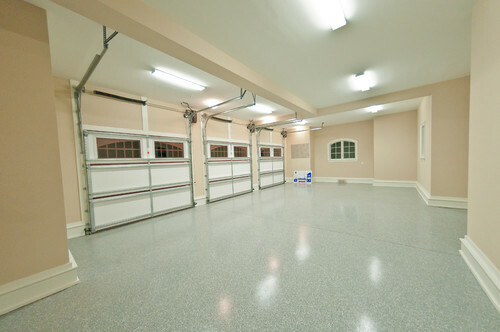 Epoxy flooring are great solutions to protect and prolong the life of concrete and steel. Epoxy polymers provide a barrier to elements that will stand the test of time, in the long run helping save large sums of money on foundation maintenance and replacement costs. Xtreme Flooring would like to thank you for taking the time to read this article. Our mission is to provide the highest quality service to consumers in the metro Detroit area. We want to be your go-to source of information for all your flooring needs and questions. Do you have a question about concrete epoxy flooring? If so, we kindly ask that you contact us and we will gladly provide answers to all your questions, if we do not know the answer we will do the research for you!